The dream team at the anniversary concert! Ulf Wadenbrandt has a celebration concert in Vänersborg 27 of October! He celebrate his 50th birthday and 20 years as a conductor! We welcome Linda Lampenius, Elisa Lindström, Janne Schaffer, Magnus Bäcklund, Anneli Axon, Henrik Åberg and Alexander Strandell. 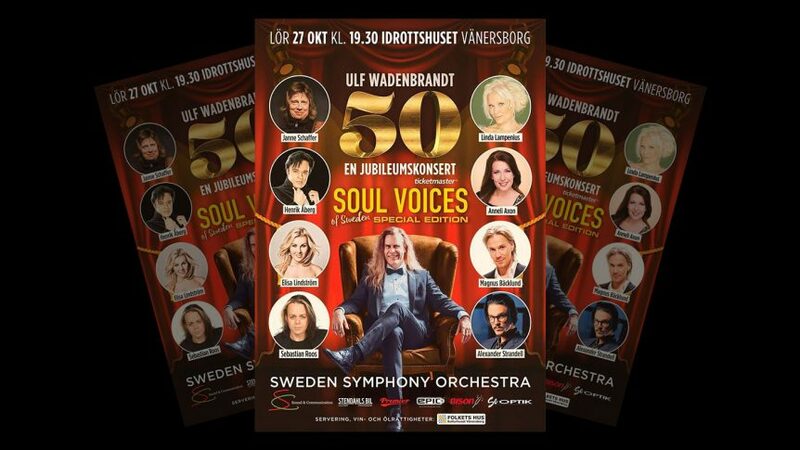 It will be a great show, good music, fantastic voices, the fantastic Sweden Symphony Orchestra and the choir Soul Voices of Sweden!